The Forest School ethos is one of the children being able to take control and responsibility for their welfare and learning. It should be a time where they can relax and be relieved of the stresses of targets, testing and being ‘told’. 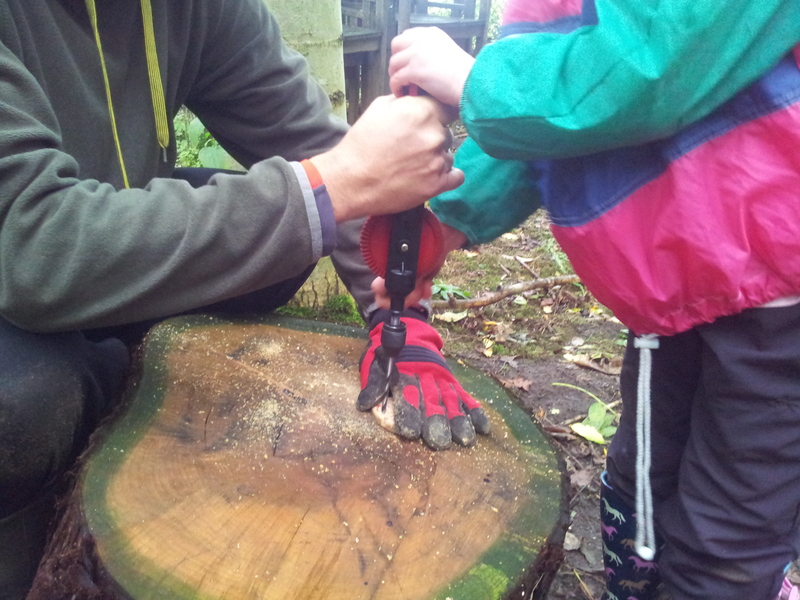 Staff and volunteers helping at Forest School are highly valued and integral to the process. To ensure you gain the best experience from Forest School and are able to help the children gain the best experience these guidelines should help to facilitate this. Joining in with activities helps the children to join in. Remember we are encouraging the children to choose, if they don’t want to join in that is fine too, but they are more likely to take part in something they see someone they respect doing too. Try not to say ‘no’, or ‘stop’, or ‘don’t’, use positive language where you can. Obviously where someone is about to do something where somebody may get hurt, or harm the environment or damage equipment it may be appropriate. Otherwise try to allow children to explore and investigate. Getting dirty is encouraged! Try to resist taking over when children are playing, or directing how to solve a problem. The idea is that children will learn from mistakes, learn to think for themselves, and become independent, resilient learners. Encourage Personal, Social and Emotional development. Encourage children to share and work together. Encourage talking about feelings and get them to empathise with others. Encourage children to treat the site with respect and to try to leave it as they found it. Encourage children to respect nature. The children should always behave in a respectful manner. If this is not the case inform the Forest School leader. Adults that are not DBS checked should stay within sight of other adults. Forest School gives time for children to talk to you and open up. Follow the school safeguarding policies and procedures if any disclosures are made, no matter how trivial. If you need advice you are encouraged to talk to the Forest School leader. If you feel that the Forest School leader is behaving inappropriately in any way immediately inform the school safeguarding officer or local authority safeguarding duty officer.